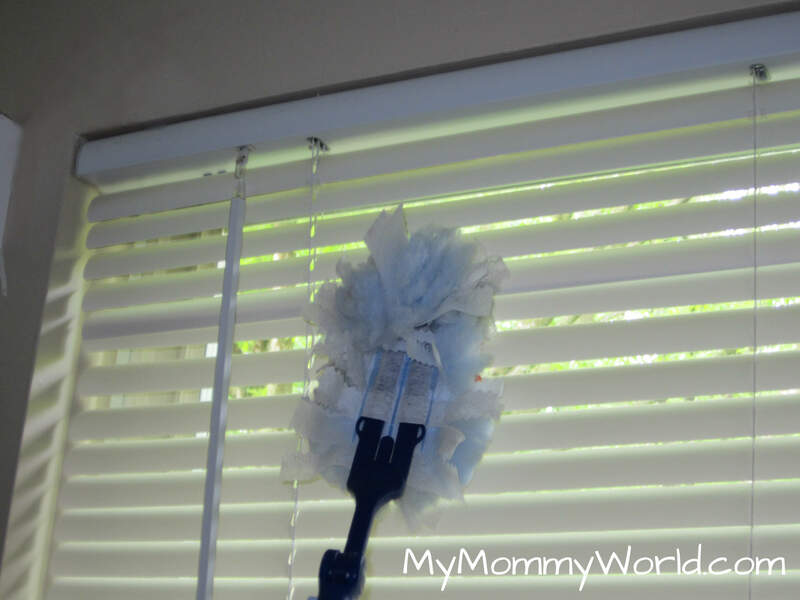 Today’s assignment in the 4 Weeks to a More Organized Home series was to clean all of your windows and window sills, and to dust the blinds and/ or wash curtains. In all honesty, when I saw this post today (while doing crunches in my abs class! ), I almost let out a groan. I have been putting this off for 1 1/2 years and I knew it was going to be a big project…and something I was dreading! My daughter was off from school today for teacher training, so I had promised to take her and her brother to story time at the library after we finished at the gym. My run ran a little long, so as soon as we arrived home, I quickly threw together lunch, made myself a half sandwich, and let them eat picnic style on the floor of my bedroom while I took a shower and got dressed. We then hurried out the door to the library, where we unexpectedly ran into some friends, which was a nice surprise! 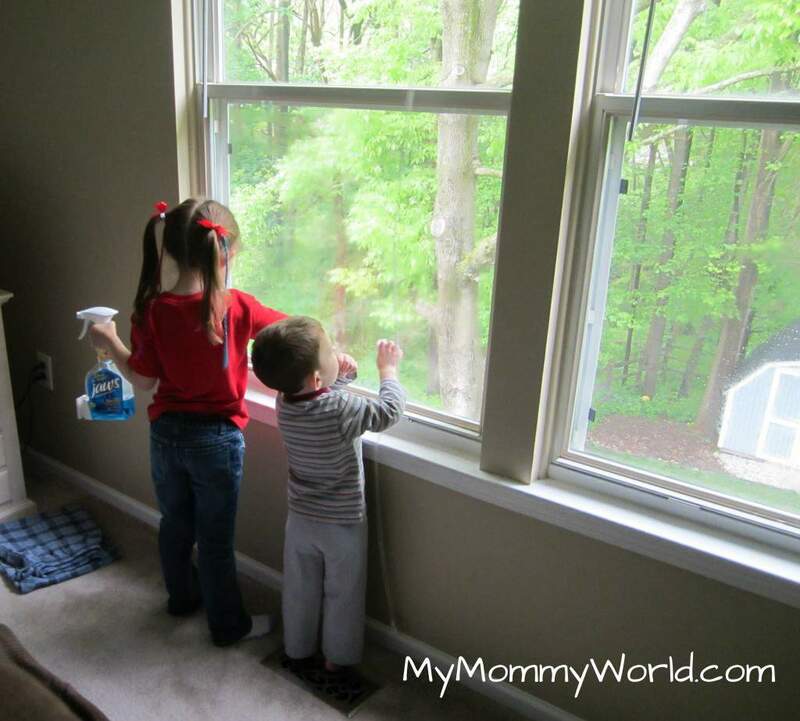 After story time, we headed home and started in on the windows. 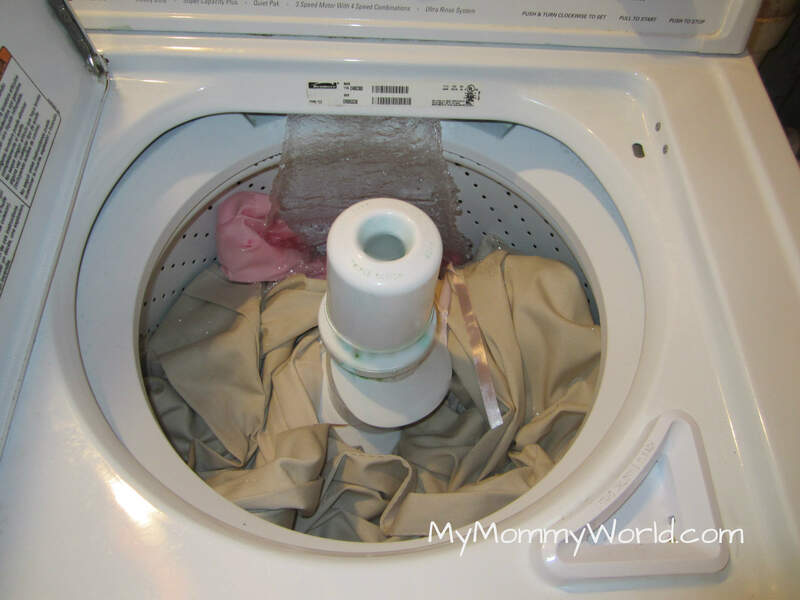 I started by taking down all the curtains in the house and throwing them into the washing machine. I had to do this in two different loads, since a few curtains are dark blue, and I didn’t want them to stain my cream curtains. Next, I attempted to take down the blinds to wash them in the bathtub. Unfortunately, I couldn’t get them off the brackets, and since I was afraid to break the bracket, I decided not to force it. I ended up dusting them with an old Swiffer duster. 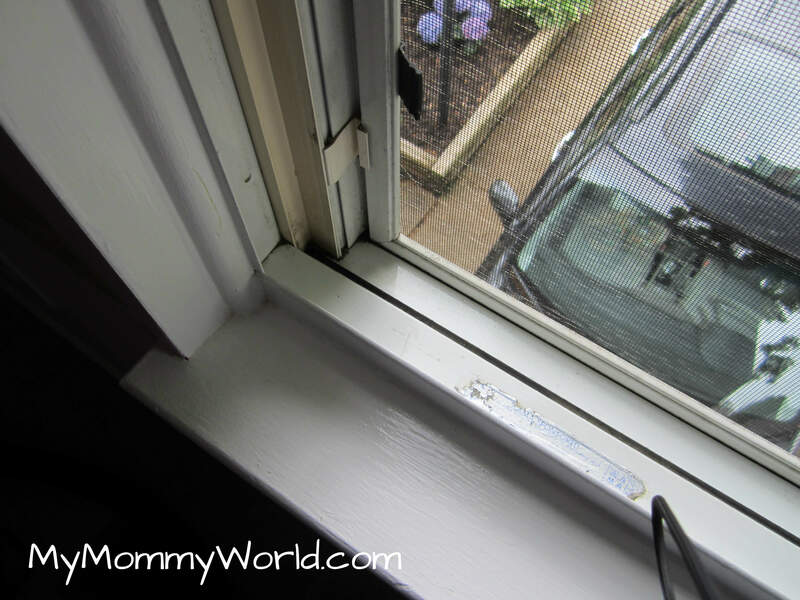 It worked pretty well, but I also got the vacuum out to get some spider webs and bugs…yes, that’s right, bugs…ick!…off the window. The main reason I was dreading this job is because our windows are on the older side, and the screens don’t fit well against the windows. (They are also impossible to take down!) I’m not sure if a previous owner bent them, or if this is just what happens with age, but there are little spaces in the screens in which bugs like to enter our house. Usually they hang out by the window and die, and I come by and vacuum them up every so often. But today, I opened up the windows to clean out the dirt and pollen that had accumulated, and I found more bugs. It was horrible and took a really long time to clean. Now that every window is clean and bug-free, I need to make sure to tackle this a lot more often! I don’t want to have this level of dirt ever again! Since it rained for most of the day, I didn’t do the outside windows…except for the one that looks out onto our covered deck. I will have to wait for better weather…and my husband to help me! Erin, just reading your post makes me even more tired than I am from doing my window blinds and curtains. It was a good call to wash your curtains in two loads. I only have 4 curtains and I put them into one load. Now I have washed all of these at least 3-4 times before, not to mention the pre-wash before I made the curtains. So there should have been no bleeding of colors right? I was wrong my cream colored valance is now somewhat tie dyed greenish/blue. I will need to make a new one. But you live and you learn. I am kicking myself for not using my free shout color catcher. Oh no! I’m so sorry that happened Shell 🙁 I had not washed these curtains before (they were left by the previous owner of the house and I liked them so much that I kept them! ), so I wasn’t sure that they would not bleed in the wash. 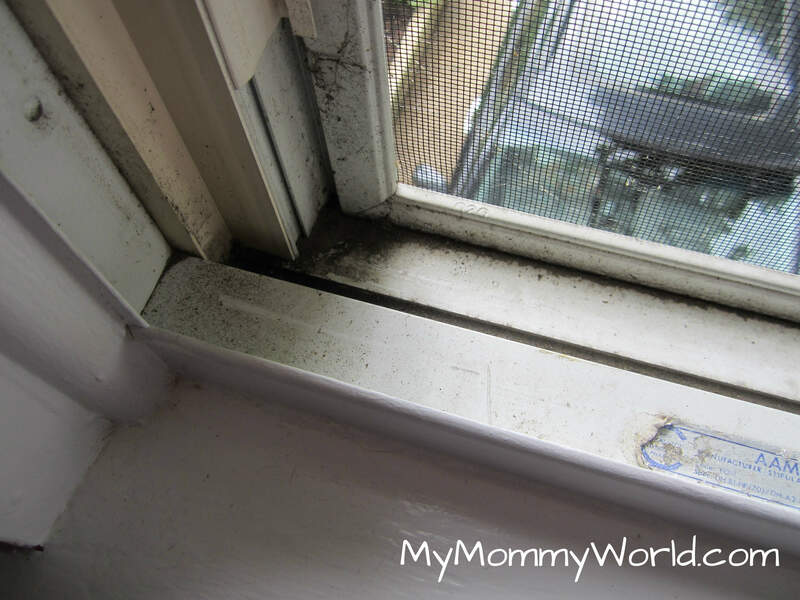 I am so relieved I am not the only one that had that really icky dirt and bugs in the window frame =) I think we might have the same windows…lol. Was your house built in 1998? I totally bailed on this assignment. I just couldn’t muster up the energy or motivation to do it. I’m going to pretend that I’m waiting till spring rain ends…ack. Congratulations! 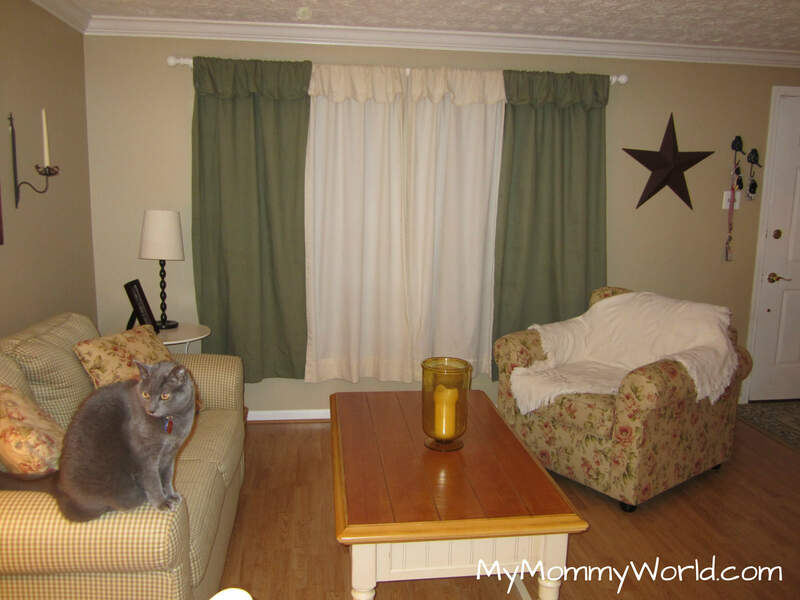 Your windows (and curtains) look lovely! And the living room (or family room?) looks so clean and pretty, too! Good work! You had a busy day! I totally have been avoiding this for a little over a year now (glad to see I’m not alone) because we have 19, yes 19 windows in our house and the thought alone makes me wanna pass out! I did get to 1 little measly window and it so happened to be the back door blinds. Well, whatever, it got done! I certainly do gain motivation from women like you! Thanks hon! Thanks Brenda! You are so sweet :). 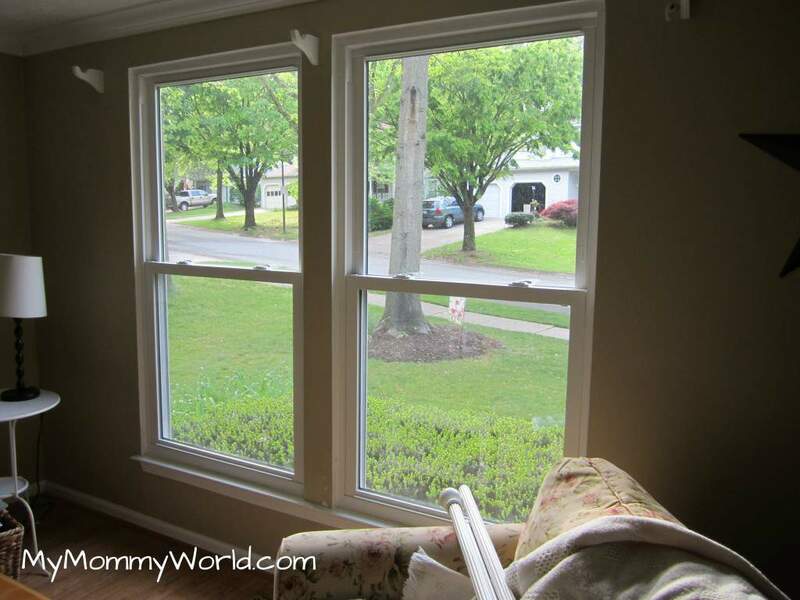 I did 11 windows yesterday…not as bad as 19, but it was a challenge!